Today is the last day for giving away – at least for awhile. I ventured out to the garage which is the last burial place for things on their way to the netherworld. There are probably a number of things that could be given/thrown away from here – like the STOP sign one of our kids liberated as a teenager. It’s a rainy day though and my back is not up to lugging stuff out. 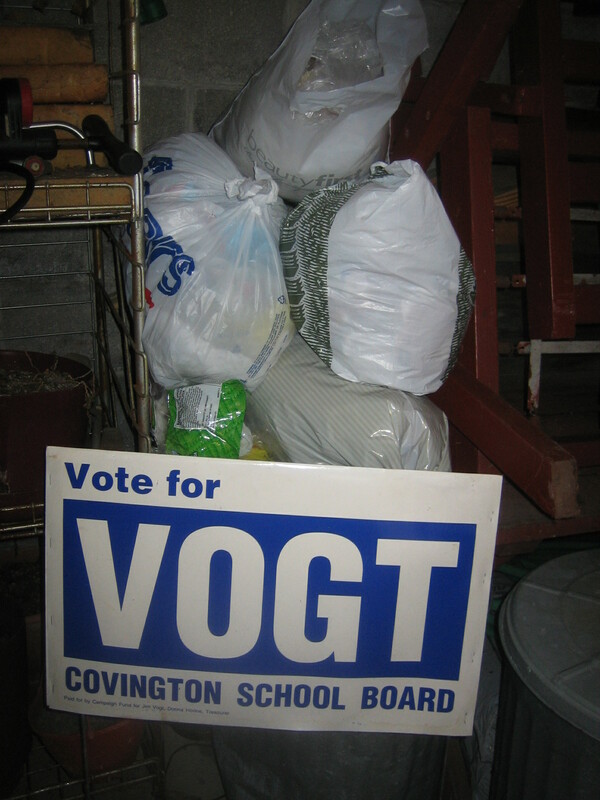 I did notice, however, that we still have over 50 signs from my husband’s school board campaigns. He promised he wouldn’t run again. Those can be history. 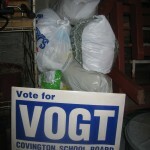 We also have 5 bags of plastic bags waiting to be resurrected, i.e. recycled, into some usable material like composite lumber. Tomorrow is Easter, the end of the 40 days but the beginning of the rest of life. I’ve decided to continue this process. Read how tomorrow.